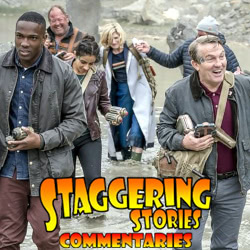 Adam J Purcell, Andy Simpkins and Keith Dunn sit down, forgetting, in front of the 2018 Doctor Who episode ‘The Battle of Ranskoor Av Kolos’, and spout our usual nonsense! Wikipedia: The Battle of Ranskoor Av Kolos. BBC: Doctor Who – The Battle of Ranskoor Av Kolos. 02:10 — Doctor Who: Breakfast at Whittaker’s. 06:46 — Gremlins: Animated Streaming. 10:04 — Luke Perry: DEAD! 11:29 — The Dark Universe: The Invisible Woman? 14:09 — John Levene: The Book. 15:42 — Graeme Curry: DEAD! 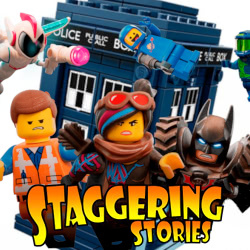 16:39 – Doctor Who: Modernising the Classics. 25:56 – The Lego Movie 2: The Second Part. 39:38 – Emails and listener feedback. 49:19 – Farewell for this podcast! 50:19 — End theme, disclaimer, copyright, etc. Wikipedia: Universal Classic Monsters – Dark Universe. Wikipedia: Doctor Who – The Happiness Patrol. Wikipedia: Doctor Who – An Unearthly Child. Wikipedia: Doctor Who – Pyramids of Mars. Wikipedia: The Lego Movie 2: The Second Part. 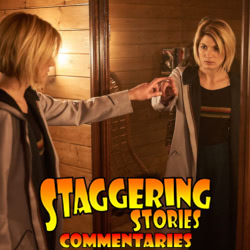 Adam J Purcell, Andy Simpkins and Keith Dunn sit down, mirrored, in front of the 2018 Doctor Who episode ‘It Takes You Away’, and spout our usual nonsense! 02:54 — Doctor Who: Animated Whittaker to be pressed against your face. 05:40 — Good Omens for May. 07:01 — Marvel: Netflix kills Jessica Jones and the Punisher. 08:12 — Comics: Transformers meet the Ghostbusters. 09:06 — Funko Pops: Famous writers! 09:37 — Life on Mars: The Chinese series. 10:31 — Star Wars: Ep 9 and The Mandalorian wrapped. 11:22 — Convention: Fan TC Con on Isle of Wight. 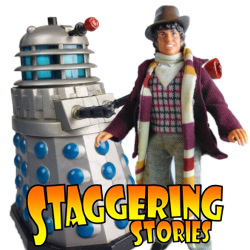 31:29 – Doctor Who: Modernising the Classics. 40:27 – Emails and listener feedback. 41:23 – Farewell for this podcast! 42:29 — End theme, disclaimer, copyright, etc. Wikipedia: Life on Mars (UK TV Series). 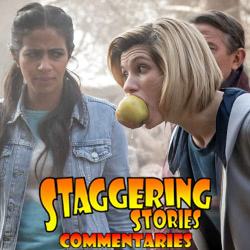 Adam J Purcell, Andy Simpkins and Keith Dunn sit down, ducking, in front of the 2018 Doctor Who episode ‘The Witchfinders’, and spout our usual nonsense! BBC: Doctor Who – The Witchfinders.